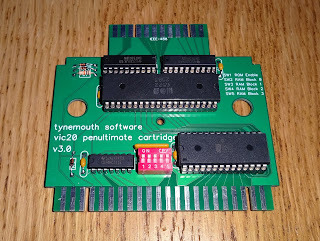 Here is the next step in the evolution of my VIC20 Penultimate Cartridge. This version expands on the previous version by adding 4 pins to each of the chips. The RAM is upgraded from a 62256 (32Kx8) to a 621024 (128Kx8), and the ROM from 27C512 (64Kx8) to 27C040 (512Kx8). To control this, the GAL has been upgraded from a 16V8 to a 22V10. I've upgraded the PCB to have gold plated edge connectors, for better contact and I've added some large holes to the board (can you add a hole? OK, I've removed some hole shaped sections). 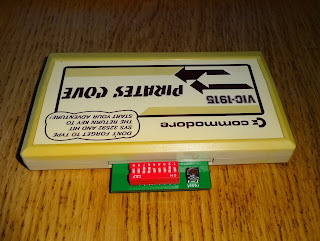 This makes the routing the tracks more a challenge, but fits around the pillars in some cartridge cases. 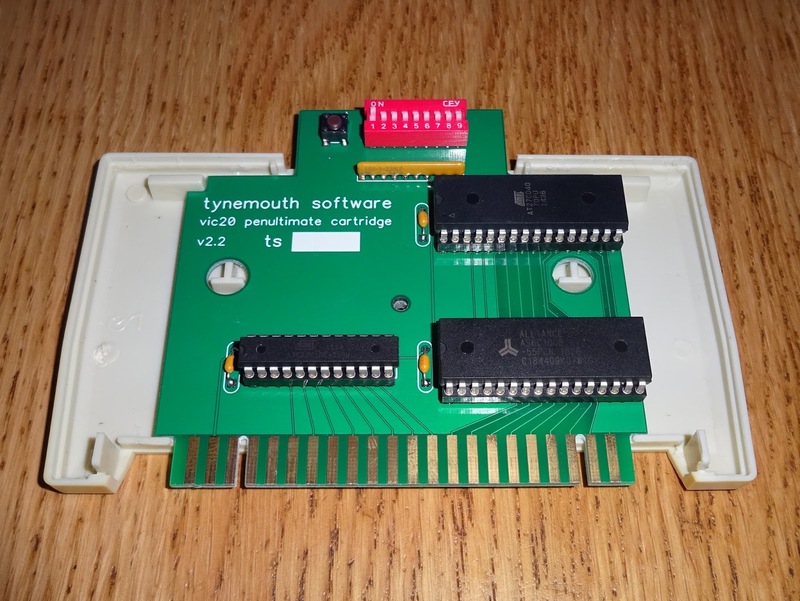 This allows the board to fit into an original cartridge case with no modification. 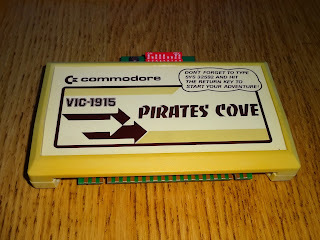 Here it's installed in a nicely yellowed spare Pirates Cove. 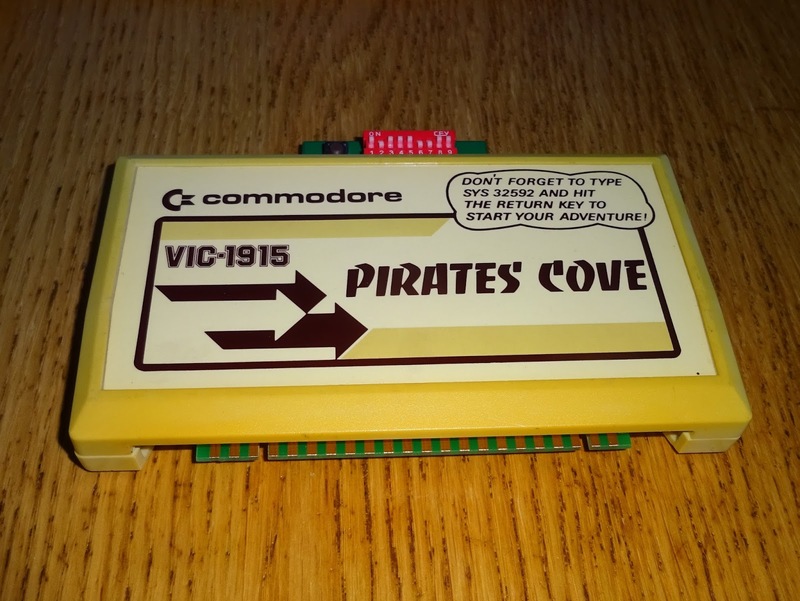 The lack of the apostrophe is annoying, I guess they couldn't decided if it should that be Pirate's Cove (the Cove of a Pirate) or Pirates' Cove (the Cove of the Pirates). The game itself says 'Pirate Adventure', I guess that was too many letters to fit on. (Update: the box says Pirate Cove). Note the 'Don't forget' label on the top of the original label, you'll need that later. 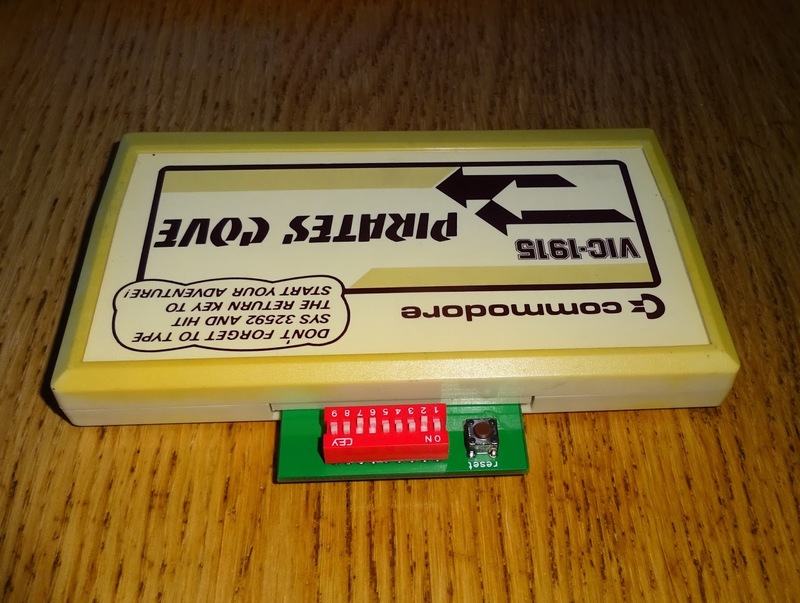 The DIP switches to control the mode and the reset switch poke out the top of the cartridge. 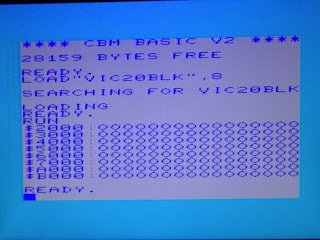 You can change mode and press reset without removing the cartridge or powering off the VIC20. That was designed so you could use up to 3 pairs of 2114 chips controlled by RAM1,2 and 3 to give a 3K expansion. This fits into a gap in the internal memory in what would be block 0 (0000-1FFF). 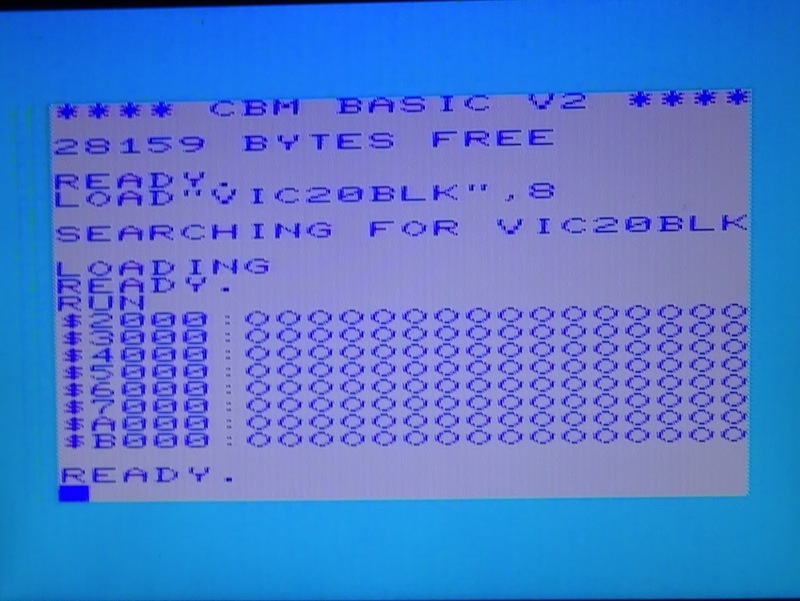 If you add RAM here, the VIC20 shows 6655 bytes available. If you add any more RAM, this 3K isn't counted any more. If you add RAM to blocks 1, 2 and 3, you can add up 24K of RAM, and the VIC will show it's maximum of 28159 bytes available. You can add RAM in block 5, but the VIC won't count this, but it can be used to load in cartridge ROM images from disk. Here is a memory test program I think I got from an ebay listing (?) which tests which blocks are present. The first version of this board had a 32K RAM chip, with this I could add 3K + 8K +8K + 8K, or 8K + 8K + 8K + 8K, but I couldn't have all the blocks filled, 3K + 8K +8K + 8K + 8K. 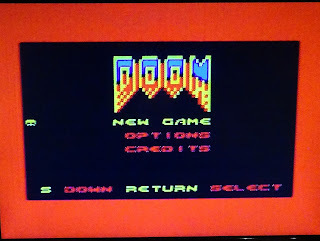 I didn't think anything would need this, but it turns out the VIC20 port of Doom does, so I have upgraded the RAM chip to be able to do this. The extra 3K means I had to switch to a 128K chip, even through almost 3/4 of it won't be used. 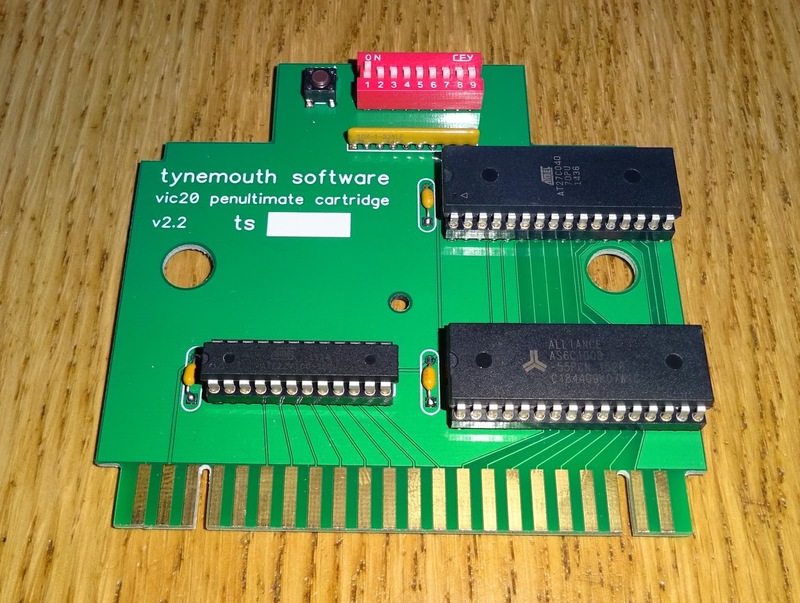 I could have achieved this with a 32K chip and an 8K chip (or even 6 2114's), but aesthetically, it balances the larger 32 pin ROM chip, and it turns out the 128K chips is not only cheaper than the 32K chip + the 8K chip, it is actually cheaper than either of them individually. Now you can play Doom if you like. The RAM is complicated then, but the ROM side must be easier? Well, sort of. If there is a ROM in block 5, the VIC will run it. On the first revision of the board, I had a choice of 16 8K ROM images that would appear in block 5 and run. This was great, but limited the choice of cartridges. 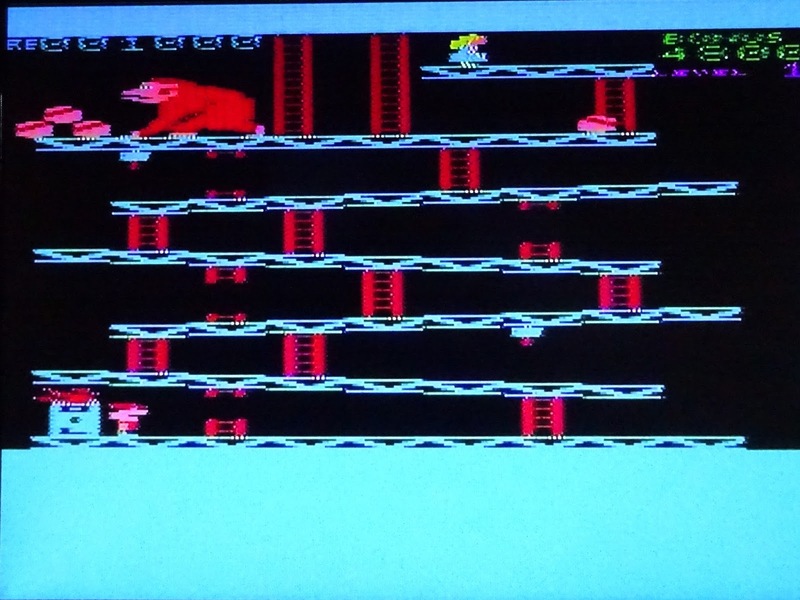 Many games needed more than 8K of ROM, so installed a ROM chip in one of the other blocks. 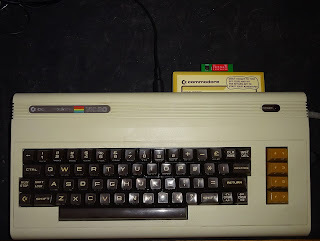 With many of the Commodore cartridges, such as Defender and Robotron, this was 8K on block 5 and 8K in block 3. 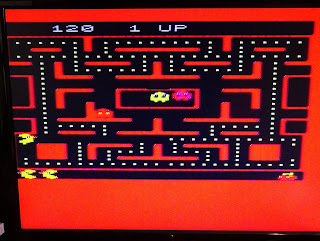 Now you can play Ms. Pac Man if you like. The great thing about standard is there are so many to choose from. Atari decided they would do things differently, and when they released Centipede and Dig Dug etc. they had ROMs in block 5 and block 1. 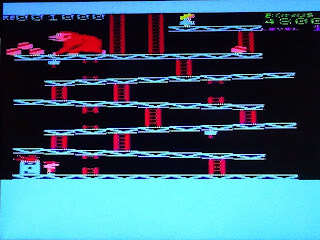 I support that as well, so you can play Donkey Kong if you like. That's three different ROM configurations, 5, 3+5, 1+5. Any more? 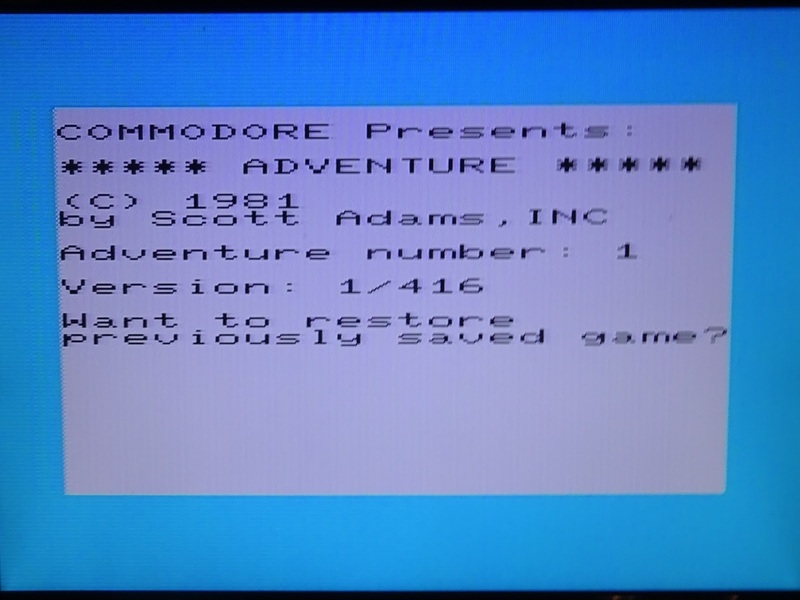 Well, yes, for the five Scott Adams text adventure cartridges, they went for ROMs in blocks 2 and 3. Why? - who knows. 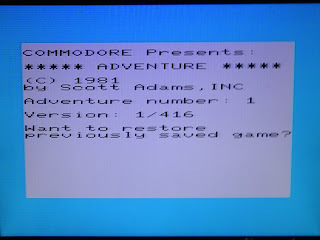 (Update: apparently this was due to lack of space, no autostart saved 128 bytes - see an interview with Scott Adams). 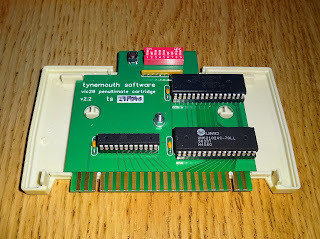 With no ROM in block 5, these do not automatically start, hence the 'Remember to type SYS 32592' label on the cartridge. I've supported those as well. Adventureland anyone? Those are split into 4, the first is 8K blocks, the second is 8K blocks plus the initial 3K. Thirst comes just ROMs and finally ROMs with RAM in the gaps. 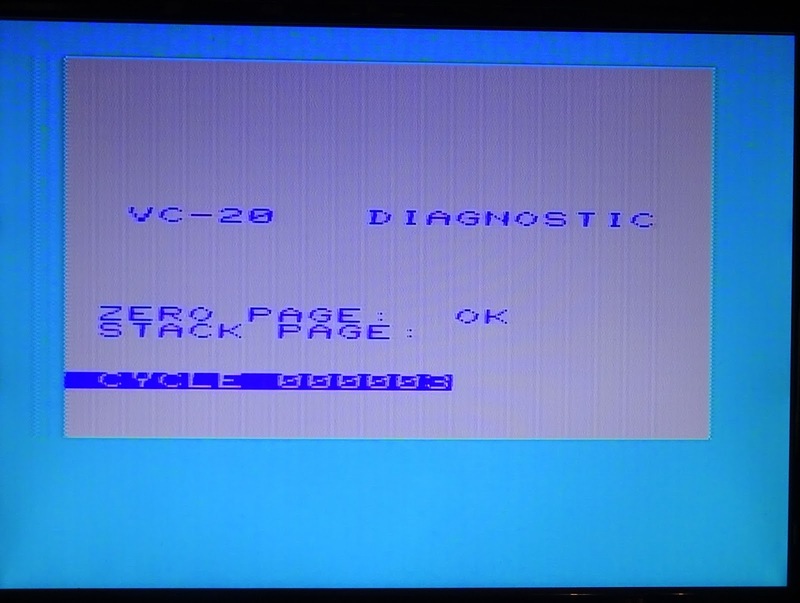 Yes, another configuration, the Super Expander and Diagnostics cartridges have ROM in block 5 and 3K RAM. 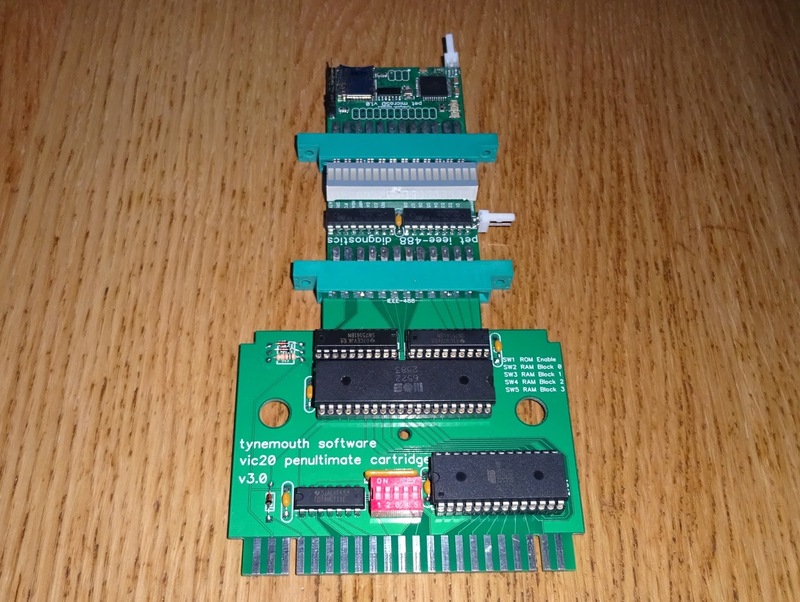 The last 5 DIP switches select which ROM images to load, the high bits of the ROM. The ROM socket can take 28 or 32 pin ROMs, anything from a single ROM image in a 27C64 through to 32 ROM images in a 27C040. When testing this, I was using an EEPROM, a 29C040, unfortunately as will all these 'standards', the pinout is slightly different to the 27C040, so I've had to make a small modification to my test board. I will fit a jumper in future revisions. I've also bolted this to a base without a lid, useful for testing as it still holds in place. This is how I've loaded my test ROM image, I've split the cartridges up by type, although there is no need to do this. The settings show the mode selection and then the ROM address. This leads me to think it would be easier to come up with some sort of menu driven system which writes out to an I/O latch to set these options then reset the system. I suspect that will be the next stage of evolution. In parallel with this, I am also working on the IEEE-488 interface side of what may become 'the penultimate cartridge'. So far I have reverse engineered the Stack IEEE-488 board and built a simplified replacement. Currently I have a strange totem pole arrangement out of the back of the VIC20. More on that once I get it working. 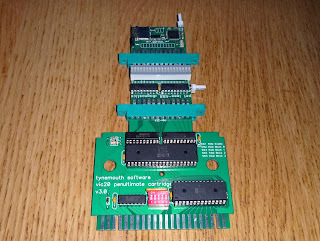 Update 2: New version of the Penultimate Cart with no DIP switches in development. 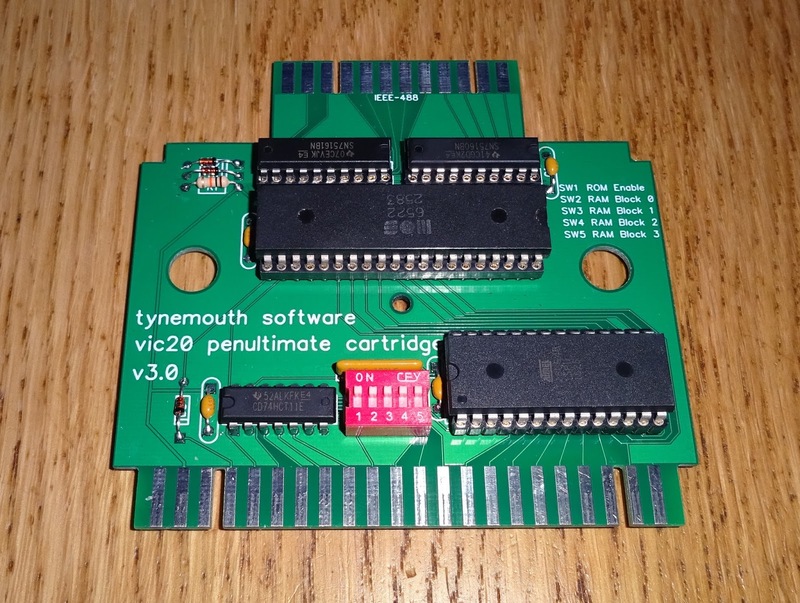 Update 3: You can now buy one of these complete with a VIC20 diagnostics test harness. 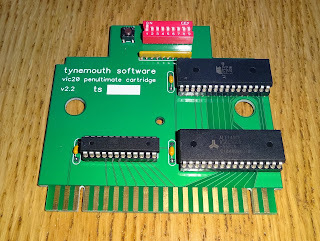 Update 5: The simple DIP switch controlled ROM/RAM board is now used as part of the VIC20 Diagnostic cart and loopback cable sets available from my Tindie store, either as PCBs, kits of parts, or assembled and tested sets.